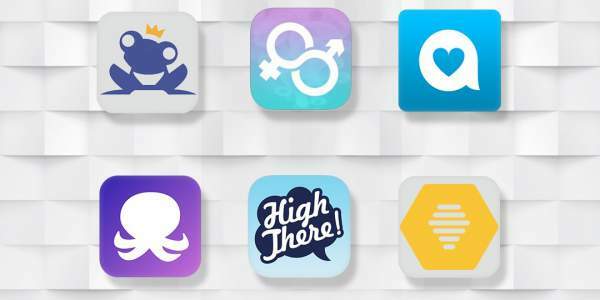 Best Dating Apps: It doesn’t matter if you are straight, gay, or bi. You can find your true love with the following best apps for dating like Tinder. It’s the era of “Swipe Left or Swipe Right”! Gone are the days when lovers used to take their own sweet time to write love-filled letters and then our postal system used to take its own sweet time. It’s the times of online dating apps. That’s the new mantra! Even though just a decade ago, having to go to virtual sources for finding a mate was a secret best kept between only (if you remember how Ted Mosby found Blah Blah- surely not in a cooking class), it’s supposedly the new Cool thing to go for. So, here we are with the best options to go for while you start on the hunt for that perfect match or just a casual fling…. With a quirky light blue combined with occurrences of crimson red in between in its affable User Interface, Match was sure to get a spot in this list of ours. Being available on almost all the platforms, whether you are an iOS guy or call yourself an android authoritarian you have got it to tailor made for you, along with the old website ensure that these guys have got an ever-increasing user base. The best thing about this option is that you get to know a lot of detailed information of the opposite party, provided that they have actually taken time to fill out the initial details and are not under the hood of privacy restrictions. This factor ensures that you are going to choose your date not based only on filter filled selfies, as is the case with other popular options, but are more oriented to look for actual common traits. This way has got higher chances of conjuring something which may last. It makes it into the best dating apps list. Related: shadow fight 2 mod apk. The name seems cheesy! Isn’t it. The concept these guys are using is even cheesier. Just listen to it out. It’s one of the best dating apps available. To start out, you ladies are supposed to be Coffee and that leaves us guys to be your Bagels. Just look at the imagination man! Anyways, as the tagline of the Coffee Meets Bagel goes, “Ladies, you’ll be served up a Bagel each day at noon, which is only the Bagels”, it gives its female users a daily update with a list of men who all have shown interest in you and you can choose to move on if find an option appropriate enough. The user base also seems good enough to make sure that you never seem to run out of options and are instantly hooked. It’s worth a try! Once you start using Bumble you are sure to find more similarities than we counted in HIMYM for the classic Friends, with Tinder. And that would be enough to come to the conclusion that this one also goes with the tried and tested way of Swipe! The difference comes evident when you start chatting. Literally, Start! Ya, the app is designed in a way that only ladies can initiate a thread of chat. Now, you gals won’t have to be irritated with troves of our cringe-worthy first messages. In a crux, its Tinder with Christmas lights put on! This one has the tag of really a huge user base as its forte! This one of the best dating apps promises to find matches for you at a so-called “Deeper Level of Connection”. Proved that you have genuinely taken your time to fill the answers to a horde of questions, its algorithm makes sure that you are bound to have results with whom you can actually connect with trying to! After all, isn’t that all we want, not to try to. Let the magic unfold itself! When you view a profile, you can see a meter stating your compatibility level between both of you based on your preferences and likes. You can browse through a plethora of options available and choose accordingly. See: You tv player apk. It’s a local dating app. It is best for approaching that guy/girl who just passed by you or you always stare at without looking like a stalker. If you pass by them or vice-versa, they will appear on the app, and Happn counts how many times you have crossed the paths with them. The app uses GPS for the purpose and in-app purchases are also available in it. Seriously, was there even a doubt that this spot was sure to be fixed for this only. It’s not Tinder, The Tinder! I mean you surely can’t find an adult who wouldn’t have heard of The Tinder, whether they are into such things or not. It has kind of become synonyms with the whole concept of finding dates online. And that my friends have made sure that this one has one of the highest user bases among all of such options available. It’s the most popular dating app. The Google Play Store synopsis of the app goes something like this. Anyways, who am I to tell you how to use this thing. That would be like telling your stomach how to digest. But still, is this thing really bringing out results. Ya, I do agree that it’s the best thing to go for if you are looking for a short term just casual kind of fling, but what about the concept of finding The One! The Soulmate? It seems that Tinder is losing its edge with time. Still, the fact that it has got a very large user base makes it an option to try for sure. After all, more choices, more chances! And just like any other app, this one too has got the option to go premium if you are ready to take it to the next level. This is the list of best dating apps. Which one is your favorite? Stay tuned to TheReporterTimes for more info.